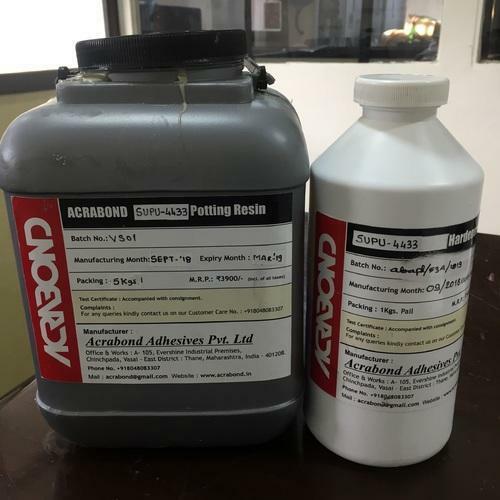 Founded in the year 1987, Acrabond Adhesives Pvt Ltd is counted amongst the industry leading manufacturer, supplier and wholesaler firm dealing in next generation Retaining Compounds. Our strong domain expertise reflects in our broadened product portfolio, which includes best in class Epoxy Resin & Polyamide Adducts Based System, Cyanoacrylate Instant Adhesive and Liquid Gasket Sealant FIP Gasket Maker Sealing Compounds. The offered products are manufactured at our well integrated work setup and demanded widely for its superior features, such as quick setting time, excellent water resistance, accurate composition and competitive price bands. Since our modest beginnings, our business operations were backed with the ethos of integrity, which indeed equipped us to listen closely to the exacting client needs. Our efficiency and client focused approach is the key behind our groundbreaking success that can be seen in nationwide presence of our offered products. Our developed industry grade compounds find its application in repairing aluminum and its alloy castings and trusted widely for machinery maintenance jobs. In order to meet the soaring product needs, we have developed a state of art infrastructure featuring hi-tech laboratories and modernized R&D centers. Further, our mission to attain long term association with a vast clientele is further strengthened with strong trust of our esteemed patrons, such as Videocon Industrial Limited, L. G. Electronics and Force Motors Limited.